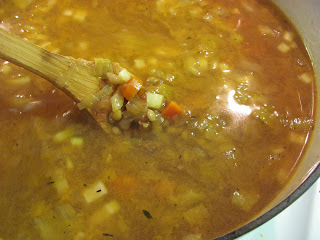 Last year was the first time we had ever tried lentils Lentil and Ham Soup. And guess what? We loved them. A few weeks ago I picked up some dried lentils, just waiting for the first blast of cool air. I found a yummy looking recipe and then tweaked it to suit us. This made 4 quarts of soup. I froze 2 quarts and we'll be eating the rest for lunch this week. 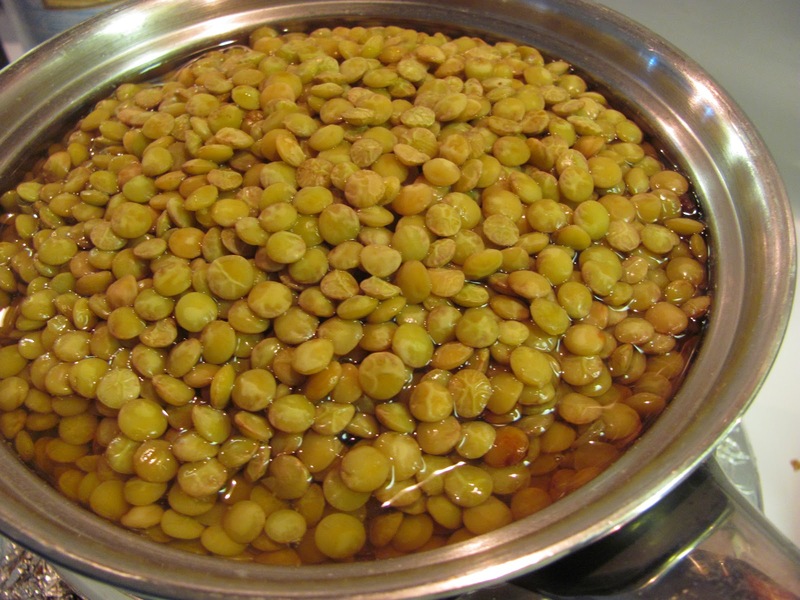 Cover lentils with boiling water and set timer for 15 minutes. Then drain; set aside. 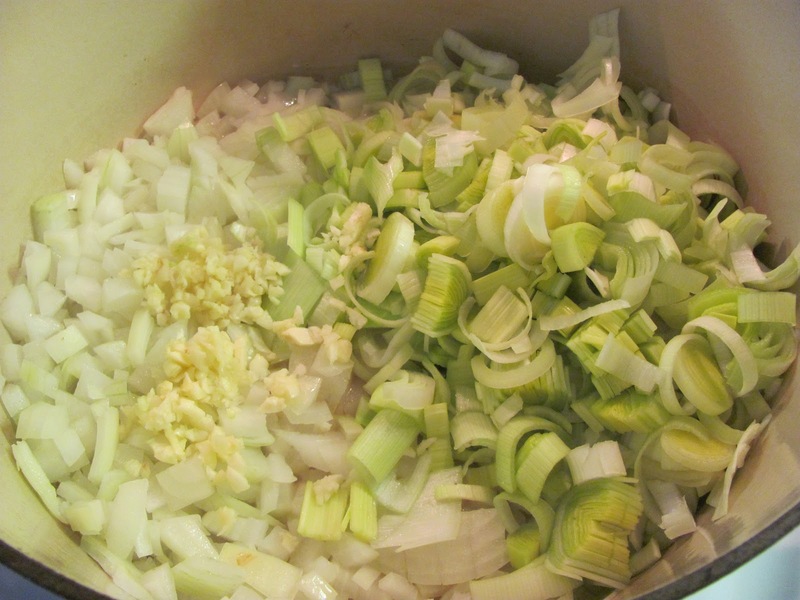 In a large Dutch oven over medium heat, saute onions, leeks and garlic in olive oil. Sprinkle with salt, pepper, thyme and cumin and cook for 20 minutes until vegetables are very tender. Add celery and carrots and saute for 10 minutes more. Add the water, boullion and prepared lentils. 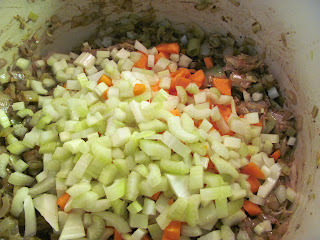 Cover and bring to boil, reduce heat and simmer uncovered for 1 hour or until lentils are cooked through. This is a yummy one! Per sparkrecipes.com: 16 - 1 cup servings, 92.7 calories per serving, 4 grams fat per serving, 11.8 grams carbohydrates, 1.2 grams sugar, 3 grams protein, 1143.3 mg of sodium, 3.5 grams dietary fiber. 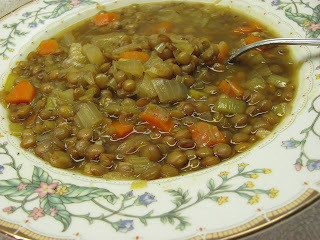 I am super crazy about lentil soups - they are just the perfect lunch - hearty, healthy and just stick to you! Most importantly they taste great!! Thanks so much for linking this up to the Hearth and Soul Hop! This looks like a soup that will fill one and warm one up. I want this in my soup collection. Actually, I would prefer to have it waiting for me, on the kitchen table. 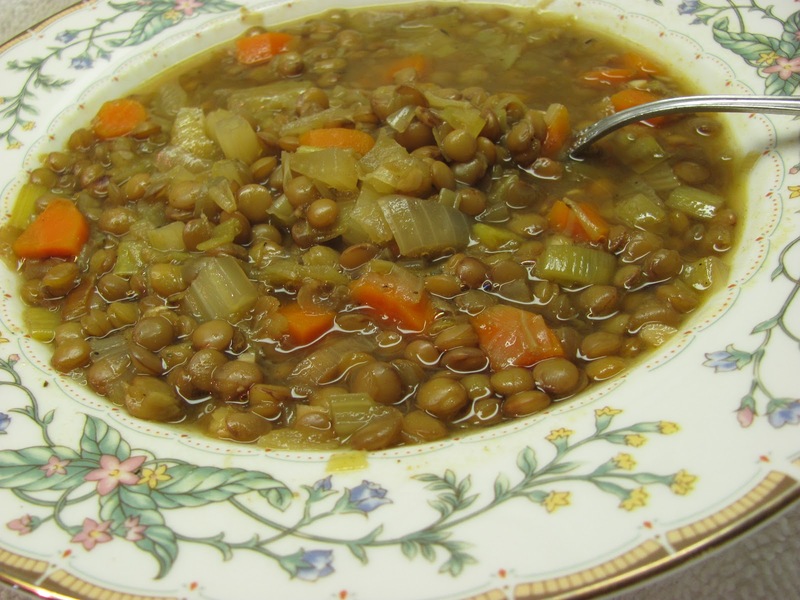 You had me at recipe, and lentil. ;-) I just followed you on Networked blog and RSS. I'm in love. 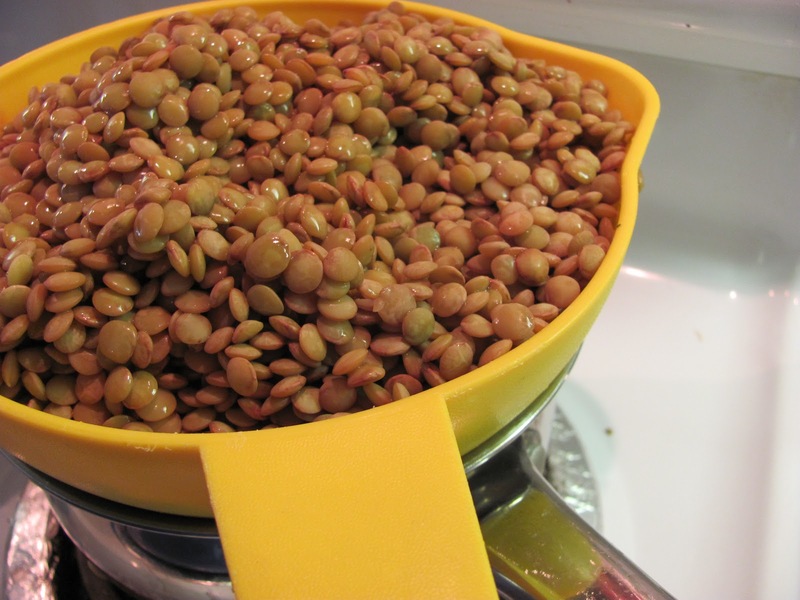 I absolutely love lentils. I buy them in 40 lb. buckets and store them in my pantry. We go through a lot of them. Soup is one of my favorite ways to serve them. Great blog.